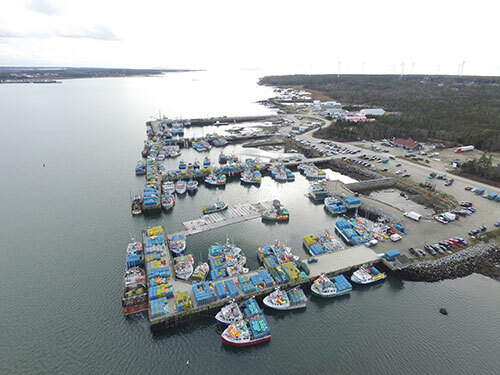 Pubnico is a quaint and picturesque fishing community that is home to one of the largest commercial small craft harbour fishing ports in Atlantic Canada that operates year round. Dennis Point wharf is home to more than 110 fishing boats and over 400 fishermen make their living working in this lucrative industry. Local fishermen are delighted to chat with tourists, proud to show their fishing boats and eager to share tales of their adventures at sea. Most days our wharves are filled with life and activity, as the fishermen unload their catch of the day.